Andrew Norton directs the higher education program at the Grattan Institute. Mr Norton is the author or co-author of many articles, reports and other publications on higher education issues. These include Dropping out: the benefits and costs of trying university (2018), HELP for the future: fairer repayment of student debt (2016), The cash nexus: how teaching funds research in Australian universities (2015) and a widely-used reference report on higher education trends and policies, Mapping Australian higher education. 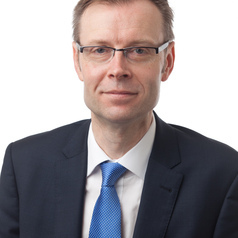 He has worked as a ministerial adviser on higher education, as a university policy adviser, was the co-author of the government’s 2014 review of the demand driven funding system, and served on the government’s 2016-17 expert panel on higher education reform. He is an honorary fellow at the Centre for the Study of Higher Education at the University of Melbourne.